The first impression one would get of the 2020 GMC Acadia would be of its refreshed exterior style. 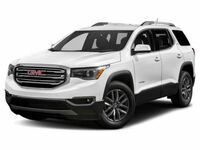 However, while this breath of fresh air relating to its looks is much appreciated, it is only the beginning of the improvements made to the GMC Acadia for its 2020 model year. As we’ll explore today, this new Acadia model adds new engine options, a new transmission, plenty of interior features ranging from design to convenience, and even offers the all-new, first-of-its-kind Acadia AT4 model. As expressed above, there’s quite a lot to cover concerning the 2020 GMC Acadia, but we very much appreciate that difficulty, of having too many changes, as opposed to being presented with a static, holdover model. So, aside from what you can gleam from the photos above and below, let’s take a deep dive in and start with an overview of the upcoming 2020 GMC Acadia! When is the Release Date of the 2020 GMC Acadia? The new 2020 GMC Acadia SUV will be released in the USA in the fall of 2019. At that time, please feel free to visit us here at the Palmen GM dealership. Once we have the 2020 GMC Acadia in stock, we’d love for you to take it out on a test drive. For additional vehicle options you can browse our online inventory. If you’re in need of further assistance, please contact us. The Palmen GM staff can be reached online, by phone, or with an on-site visit to our dealership located in Kenosha, Wisconsin. 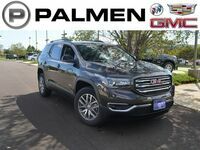 Interested in a GMC Acadia?